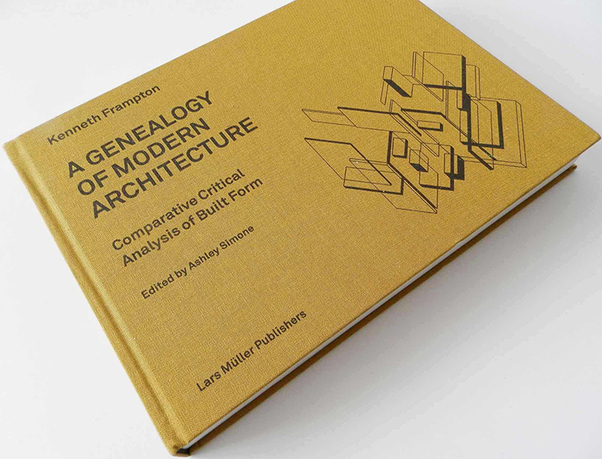 Kenneth Frampton, cover of A Genealogy of Modern Architecture: Comparative Critical Analysis of Built Form (Lars Müller Publishers, 2015). This publication records in detail a theoretical course devoted to the comparative critical analysis of realized buildings, with the aim of sensitizing students as to the way in which socio-cultural values are incorporated into built form. This pedagogical approach is predicated on the comparison of pairs of buildings which have been expressly selected for their similarities and differences; they being comparable in terms of relative size, institutional type, proximate date, and cultural density. After introductory lectures and a number of tutorials, pairs of students deliver their allocated analyses to the seminar for discussion and critique and thereafter complete a graphic and written analytical record. The aforementioned publication includes nineteen such analyses, edited by the tutor, plus an introductory essay setting forth the philosophical and pedagogical principals on which the course is based. Kenneth Frampton was born in the United Kingdom in 1930 and trained as an architect at the Architectural Association School of Architecture, London. 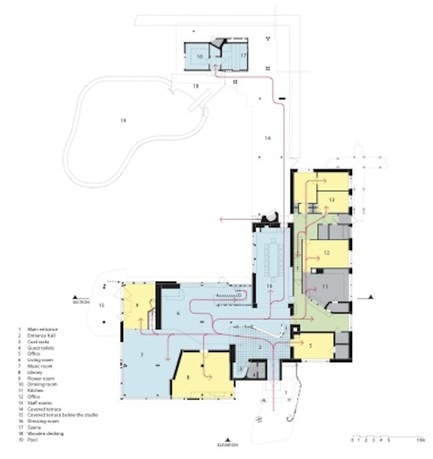 He has worked as an architect and an architectural historian and critic, and is currently the Ware Professor of Architecture at the Graduate School of Architecture, Preservation and Planning, Columbia University, New York. 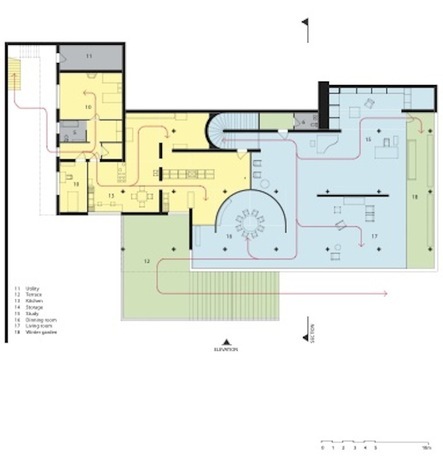 He has taught a number of leading institutions in the field including the Royal College of Art, the ETH in Zurich, EPFL in Lausanne, the Accademia di Architettura in Mendrisio, and the Berlage Institute in the Netherlands. He is the author of numerous essays on modern and contemporary architecture, and has served on many international juries for architectural awards and building commissions. His most recent writings include Modern Architecture: A Critical History (2007), Studies in Tectonic Culture (1995), Le Corbusier (2001), and a collection of essays Labour, Work & Architecture (2005).